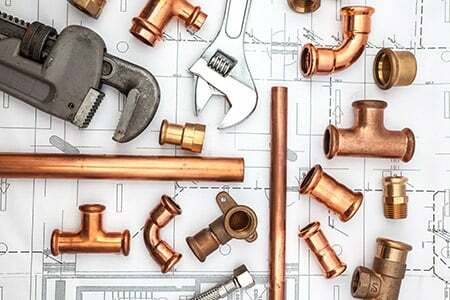 The labor shortage in general construction and such skilled trades as plumbing, HVAC and electrical work has been well-documented throughout the country, with older generations of skilled tradesmen entering retirement much faster than they can be replaced. According to a survey by the Associated General Contractors of America, some 70 percent of U.S. construction firms report difficulty finding qualified workers. And the U.S. Bureau of Labor Statistics reports that the nation’s need for workers in the skilled trades is increasing much faster than the growth of employment overall. Among those sounding the alarm is television personality Mike Rowe, former host of “Dirty Jobs,” who has appeared before a congressional panel to call attention to the “skills gap.” Rowe launched a nonprofit foundation (mikeroweWORKS) to challenge the idea that going to college for four years (and piling up substantial debt) is the only way to achieve career success, and his foundation channels scholarship funds to students pursuing a career in the skilled trades. Here, we’ll examine some of the causes contributing to the shortage of skilled labor, and some innovative initiatives by stakeholders seeking solutions. • Retirements: The baby boom generation of skilled trade workers is approaching retirement (more than half are said to be 45 or older in 2012) and projections indicate there simply will not be enough new workers to fill these jobs. • Economic pressure: The Great Recession of 2008 forced many contractors working in the skilled trades out of business and caused potentially hundreds of thousands of individual workers to leave the field. • High school curriculum: Most U.S. high schools have eliminated shop classes and other vocational training opportunities, as budget cuts claimed a traditional pathway into a career in the trades. • College vs. the trades: In many cases, students are counseled that going to college (and often taking on thousands of dollars of debt) is the only way to become successful, despite the fact that there is a surplus of solid, good-paying career opportunities in the trades that do not require a bachelor’s degree. • Family businesses: Many trades contractors are family businesses, in which the next generation may not want to continue the tradition. • Training programs: More training programs are needed for the next generation of electricians, plumbers and HVAC technicians. In addition to technical/vocational schools, and community colleges, a growing number of businesses are establishing more formalized training programs. Heritage PHCE (a family-run trades contractor based in New Hampshire) has created a fully equipped on-site training center at its headquarters. • Scholarship opportunities: Mike Rowe has made it a personal mission to help get scholarships to students pursuing a career in the skilled trades; his list of 2017 recipients includes more than 240 students. Now more businesses are also getting into the act when it comes to scholarships. One is Heritage, which recently established its own trade school scholarship program, awarding two $3,000 scholarships to students in New England pursuing a career in the HVAC, plumbing and electrical trades. The shortage of skilled labor in key professions is an ongoing problem with far-reaching effects on our local and national economies. Reframing the discussion, creating more training opportunities to help workers acquire in-demand skills and expanding the availability of scholarship programs that support such efforts will be an important part of the solution.